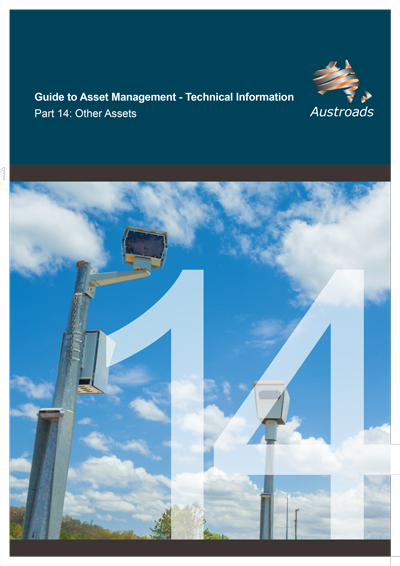 Part 14 of the Guide to Asset Management addresses other assets, which are defined as assets which are integral to the performance of the road system, excluding major structures, road pavements and supporting subgrades/foundations. They include operating hardware and software for traffic management, driver information systems, vehicle monitoring systems and digital infrastructure. Road-related assets are commonly grouped into: intelligent transport systems (ITS); traffic facilities; lighting. Technical Information provides more specific guidance relating to specific asset types, including, pavements, bridges, and intelligent transport systems (ITS). The target audience is technical and applied users.